This recipe is my favorite. Simple, healthy and very tasty. Clears the throat completely thus very good for cold and sore throat. 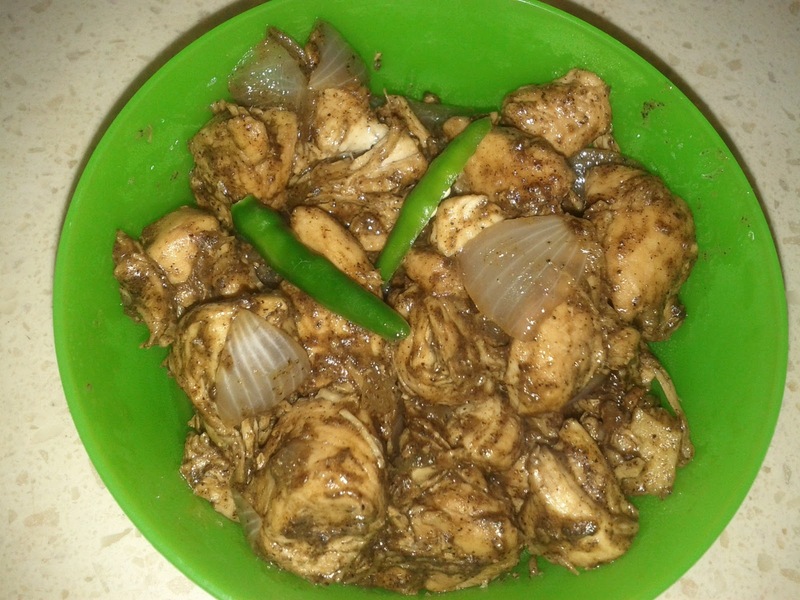 This is the simplest chicken item with least number of ingredients. Can use capsicum and onions if needed. Can use finely chopped coriander leaves to garnish. Can use 1 tbsp Vinegar also. 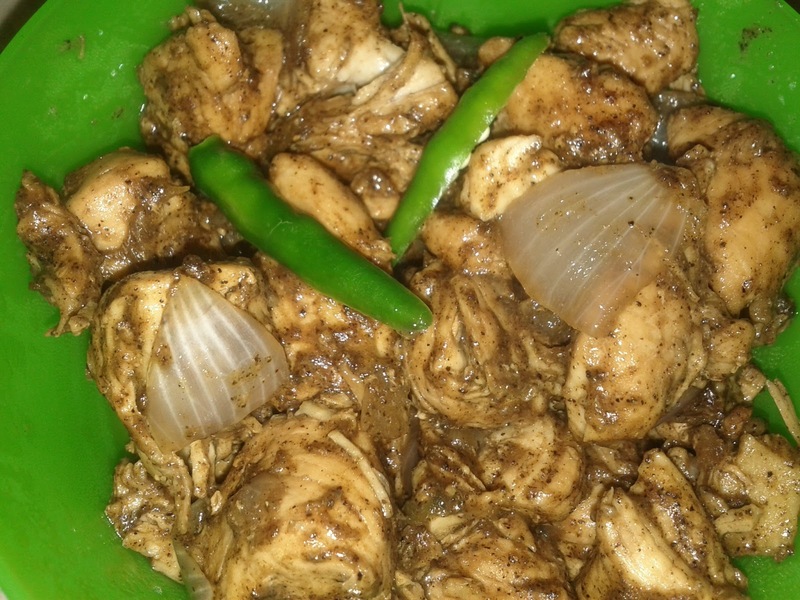 Clean and wash chicken pieces. Take a pan, add oil, garlic, ginger and green chilies. Fry for 1 mint and then add chicken, soya sauce and pepper powder. Add the salt and little water and allow chicken to boil and water to evaporate. Switch off the flame and serve hot as a starter or dry item.